Wykeland has completed the acquisition of three remaining sites that form part of the Glasshoughton regeneration project in West Yorkshire. 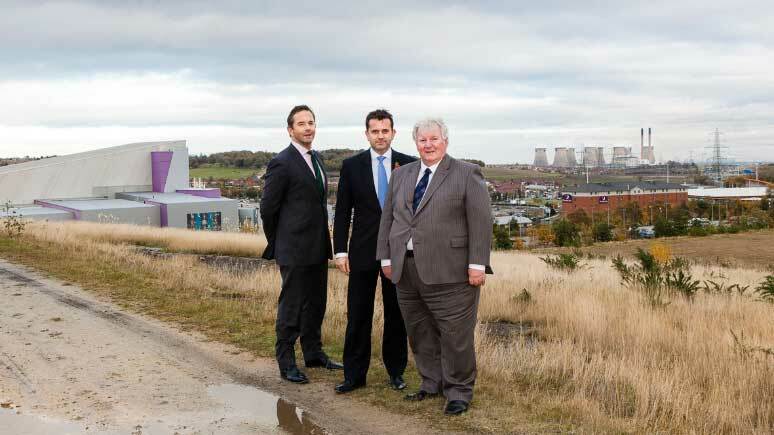 Wykeland, one of Yorkshire’s leading property and land development organisations, with interests throughout the North of England and Scotland, has purchased 24 acres of serviced industrial land from Waystone, the company that began the Glasshoughton project in 1994. Since then, Waystone has transformed the area into one of Yorkshire’s most significant regeneration projects, stretching to some 330 acres and resulting in the creation of more than 3,500 jobs. Wykeland’s managing director, Dominic Gibbons, said the acquisition was part of the company’s expansion along the M62 corridor and follows on from the success of their new business parks at Europarc, near Grimsby, and Melton West, 10 miles west of Hull. The company has also recently announced the start of infrastructure works and speculative office construction at its latest scheme – Bridgehead Business Park at Hessle – a £100m development billed as Yorkshire’s greenest business park and which could eventually be the base for 3,000 jobs. Mr Gibbons said: “At Glasshoughton, we will be looking to develop more quality office, trade counter, manufacturing and warehousing space to make the most of the site’s proximity to the A1 and M1, which are respectively two minutes and eight minutes away. “While we have acquired the land, we will continue to work in partnership with Waystone to develop out the rest of the employment use land. Waystone has tenaciously regenerated this former colliery site and we are delighted to be working with them”. Stuart McLoughlin, Waystone’s managing director, said: “We have been looking to bring on another partner to assist us in the completion of the development and Wykeland are able to provide a set of skills that will help us to complete and promote certain parts of Glasshoughton that have remained dormant during the economic downturn. “We have worked in partnership with the Homes and Communities Agency, the Government’s national housing and regeneration agency, to develop the site”. Funding from the National Coalfields Programme, which was required to remediate the site, has been re-paid.